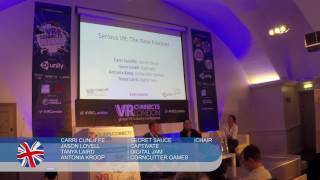 Serious VR – The New Frontier A VR Business Panel Discussion from VR Connects London 2017. VR is being used for serious business solutions across many sectors – where will this take early adopters and what is the future potential for those businesses? Future Realities: Exploring Mixed and Augmented Reality Is this real life? Or is this just fantasy? Pokemon Go has already taken over and in the near future it will be commonplace to create and interact freely with holograms that blend into the rest of our surroundings. Unlike the entirely simulated vistas in virtual reality, the developments in augmented reality and mixed reality allow the physical world to become interactive and digitally manipulable. While AR is augmenting virtual objects into the real world, MR allows us to navigate our existing landscape using virtual objects, enhancing the environment with digital content. This panel will focus on where augmented and mixed realities will takes us and how these new ways of seeing will revolutionise the way we work and play, heightening creativity and making the imaginary become real. 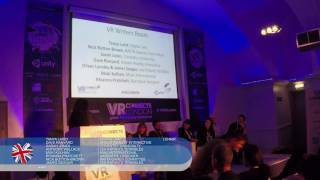 The VR Writers Room A VR University Panel Discussion from VR Connects London 2017. 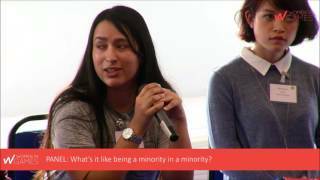 European Women in Games Conference 2016 - Panel: What's it like being a minority in a minority? Video streamed on Twitch during the European Women in Games conference 2016. Open discussion on ethnic diversity, chaired by Chella Ramanan. Malaysian born 2D & UI artist working in the UK video games industry, previously dabbled in animation. Chella provides commentary on the games industry, with a particular focus on narrative and diversity, as well as writing reviews, news and events coverage. She is a freelance copywriter at Chella Writes, supporting a wide range of businesses and she also writes fiction. BAME in Games is an advocacy or special interest group that exists to encourage more diverse talent working in the games and the wider entertainment industry. The group manages a professional network to encourage discussion and collaboration on diversity and make available speakers for conferences and events. The group also exists to nurture and promote the benefits of diversity and hiring talent from minority groups generally within games and entertainment. Producer currently working on LittleBigPlanet 3 with previous AAA experience working on titles including Need for Speed Most Wanted. Tanya has been on the leading and creative edge spanning games, film, TV, comics, music, immersive theatre, theme parks and Transmedia. As the creator of the the VR Writers Room and the co-organiser for the world’s largest VR & AR meetup group “Augmenting Reality”, Tanya brings together thought leaders and experts to share key findings with the wider VR community, develop methodologies and establish unified terminologies across industries.